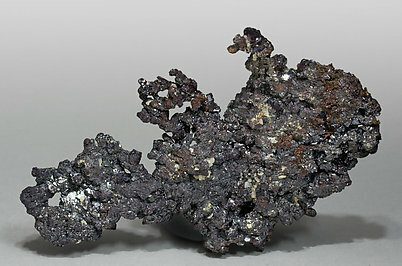 Dendritic Copper crystals that are very elongated and bright with well-defined faces and edges with very visible spinel law twinning. 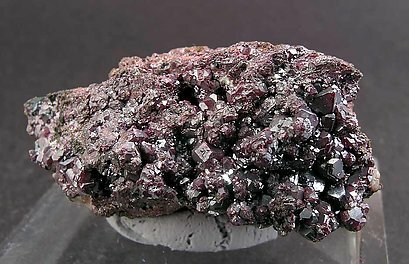 They are partially coated by reddish Cuprite. A novelty at Tucson 2016. 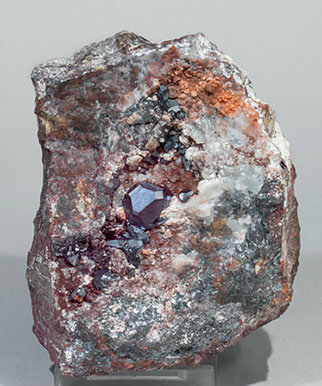 Polycrystalline aggregate of Cuprite crystals showing the dominant octahedron beveled by the dodecahedron, with very well defined faces and edges. 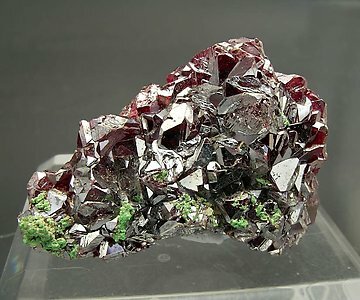 The crystals, on a rocky matrix with massive Cuprite, are translucent and have a very deep red color that is partially masked by their extraordinary luster. A novelty at Tucson 2016. 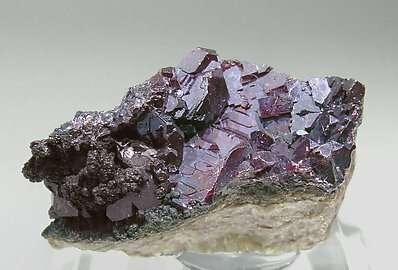 Very bright and sharp Cuprite crystals from recent finds at the Milpillas mine. 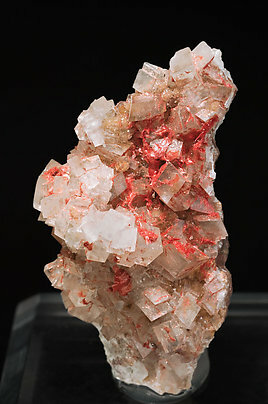 Druse of very sharp cubo-octahedral crystals that are bright, have very intense reddish reflections and are partially coated by small Cerussite crystals. 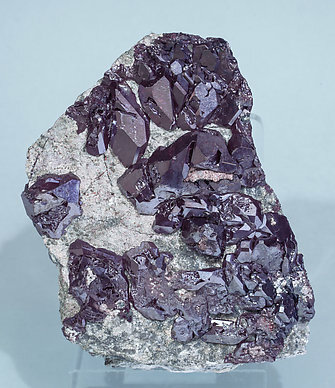 Cuprite crystals formed by a dominant cube and octahedron, and beveled by the dodecahedron with some hoppered faces and, in general, with very well defined faces and edges. 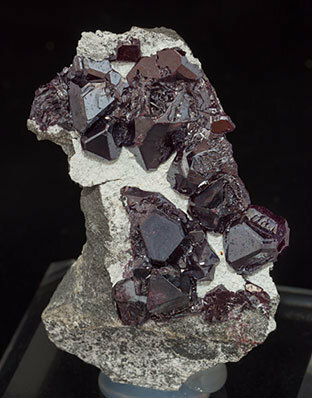 The crystals, on a rocky matrix, are translucent and have a very deep red color that is partially masked by their extraordinary luster. 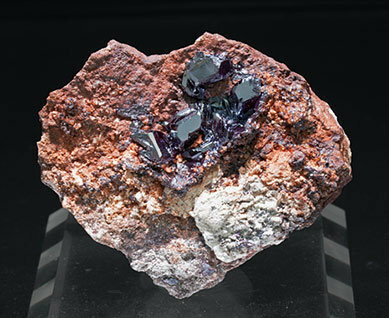 Two Cuprite crystals, one of them clearly dominant, with the main forms of the cube and octahedron beveled by the dodecahedron. 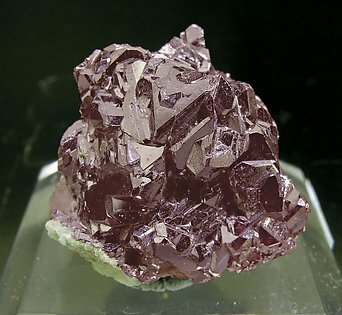 The crystals, translucent, have vivid reflections of intense red shades. A novelty at Tucson 2016. 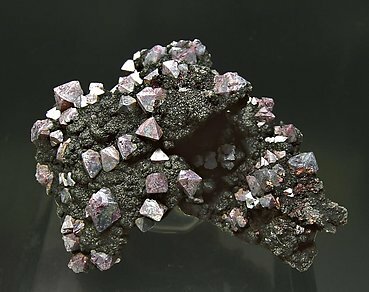 Polycrystalline aggregate that forms a “paved” like surface of Cuprite crystals formed by the dominant octahedron with small cube faces. They have very well defined faces and edges. 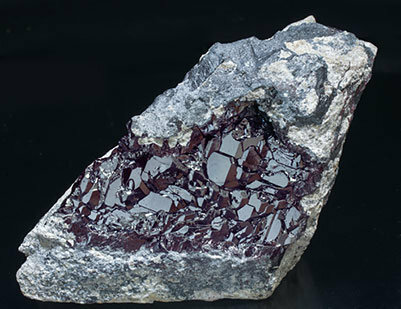 The crystals, on a rocky matrix with massive Cuprite, are translucent, and have a very deep red color that is partially masked by their extraordinary luster. A novelty at Tucson 2016. 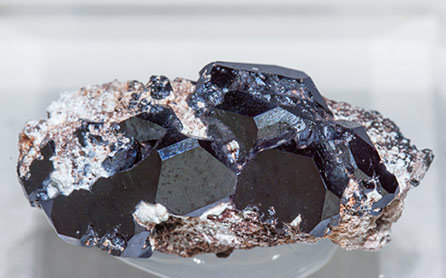 Very isolated Cuprite crystals, one of them clearly dominant and larger than usual on Milpillas samples. 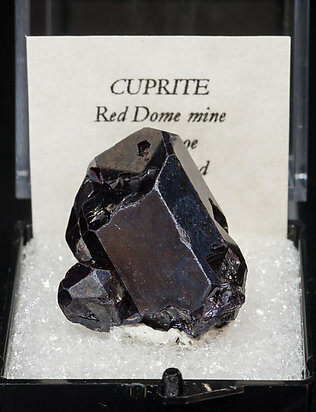 The crystals, translucent and with an intense red color, are formed by the dominant octahedron with cube and dodecahedron faces and they are on a rocky matrix with massive Cuprite. 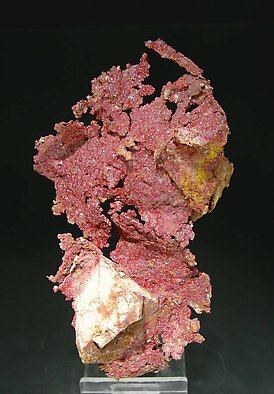 Arborescent growths of copper covered by cubic crystals of Cuprite, translucent, bright and vivid red in color. Of excellent quality for the locality, a great North American classic. A novelty for Tucson 2009. 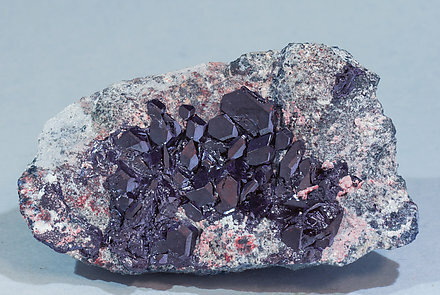 Group of crystals with extraordinary luster and reddish reflections. On crystals predominate, very sharp, the forms of the octahedron and the dodecahedron. The sample is from a recent find (July and Augost of 2008) on a Russian locality practically unknown until now. A novelty for Tucson 2009. 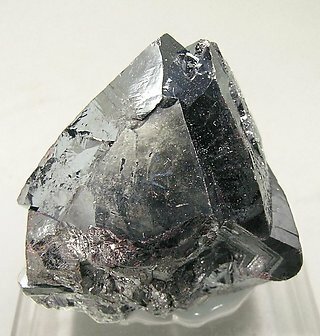 Group of octahedral crystals with slight curvatures of faces and edges. They have excellent luster, with reddish reflections especially vivid under a strong light. The sample is from a recent find (July and August of 2008) at a Russian locality practically unknown until now. A novelty for Tucson 2009. An excellent group both for its size and for the crystal size. 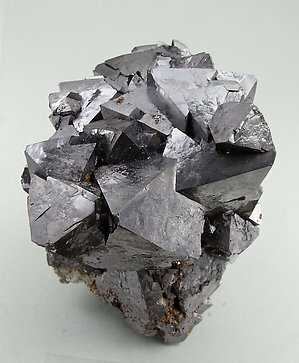 The crystals are octahedrons with slight curvatures of faces and edges. They have very good luster and reddish reflections especially vivid under a strong light. The sample is from a recent find (July and August of 2008) at a Russian locality practically unknown until now. 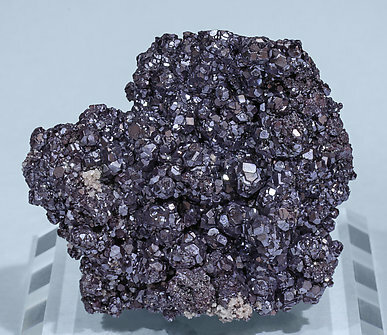 Cuprite can be considered as a very rare species at Touissit. 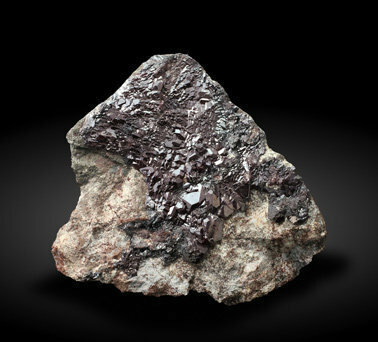 On the sample it is in small, very bright and reddish crystals on matrix. A group of very bright crystals formed by the faces of the cube and the octahedron. 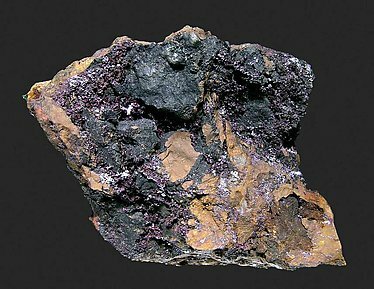 On the bottom of the sample there is some coverage of a green mineral, perhaps Bayldonite. 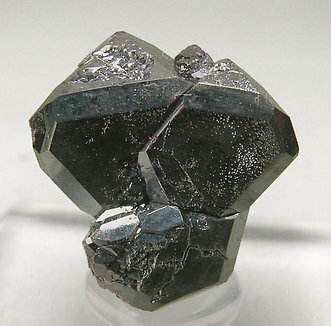 Crystal group of very splendent luster, formed by the dominant octahedron. Because it was found long ago and still possesses its original luster, we think it can be maintained indefinitely if the sample is protected from sun light. Octahedral reddish crystals of perfectly defined faces and edges. Their color contrasts with the darker matrix. Unusual. A miniature classic from the Wheal Phoenix Mine. The crystals are brilliant, have good color, and have perfect growth of the octahedral form, and also the cubic form in some cases. The handwritten label has ‘Russell’ written on it, so it must have come from Sir Arthur Russell, who Folch knew. A classic from a really, really, classic locality. 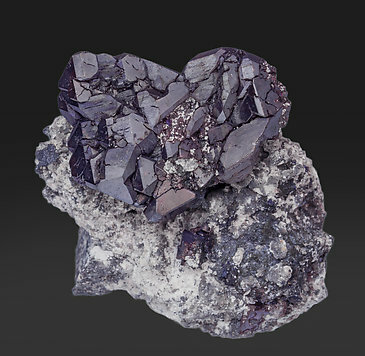 It is a group on matrix of cubic crystals that, despite the years, have retained good luster and color. 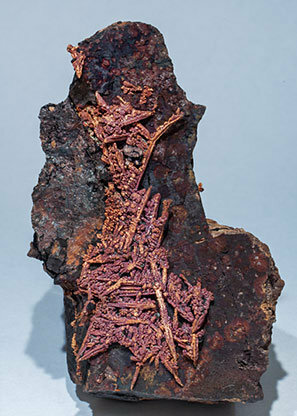 Coatings of feltlike crystals of Chalcotrichite, with very intense luster and red color, on a dendritic growth of flattened crystals of native Copper on matrix. An U.S. classic that Folch acquired in 1971 from the well known Swiss dealers Siber + Siber. 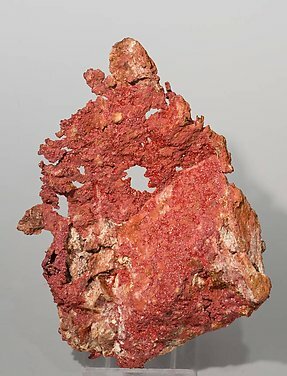 Small but numerous groups of fibrous Cuprite crystals (Chalcotrichite), very bright and vivid red in color, on laminar growths of native Copper on matrix. The locality, a classic for Chalcotrichite (and for native Copper), makes this specimen even more interesting.